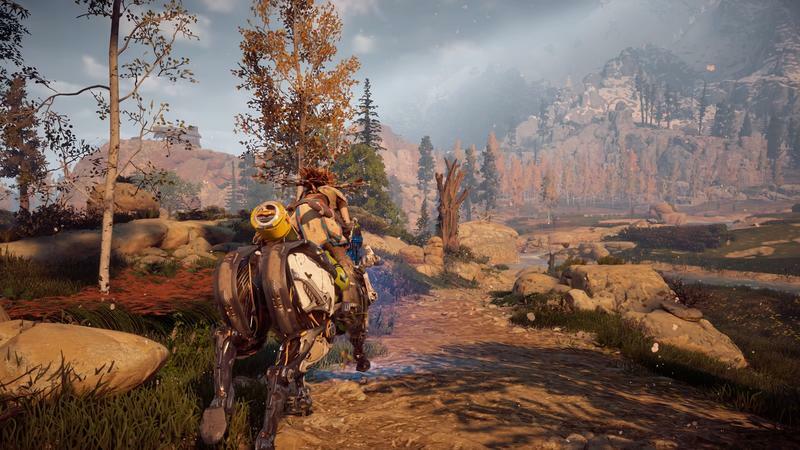 Tackling an entirely new genre of game is a huge task, especially when it’s something like an open world game. 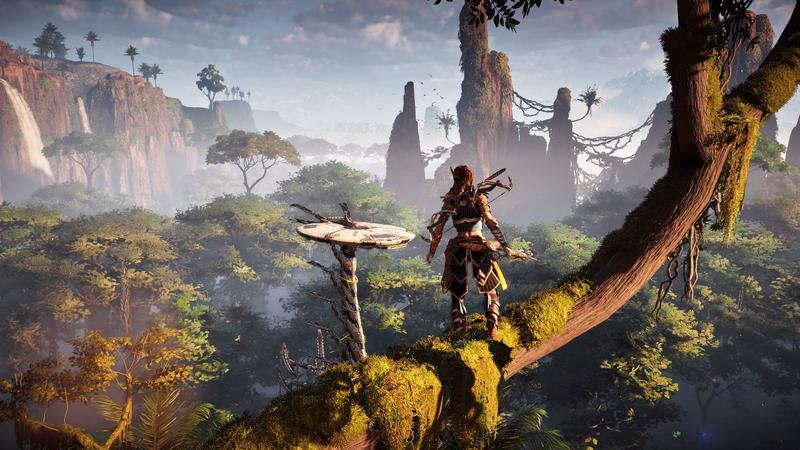 The scale on one of those games is unlike anything else in gaming, and it’s a massive undertaking. 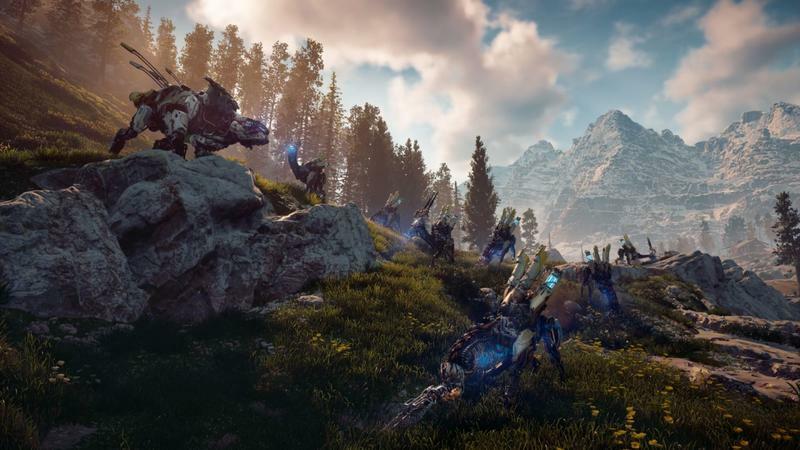 Somehow, though, Guerrilla managed to jump from linear shooters to a huge open-world game and not just make a good game, but a great game. 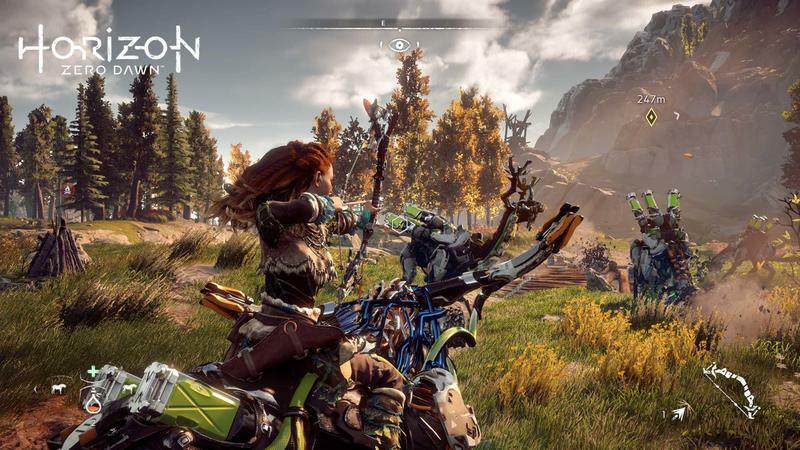 Guerrilla Games has taken many of the lessons demonstrated by companies like Ubisoft, Rockstar, and CD Projekt Red and incorporated them into Horizon Zero Dawn, making fun gameplay out of elements that might have been tedious in other games. I’m as blown away by this as you are. 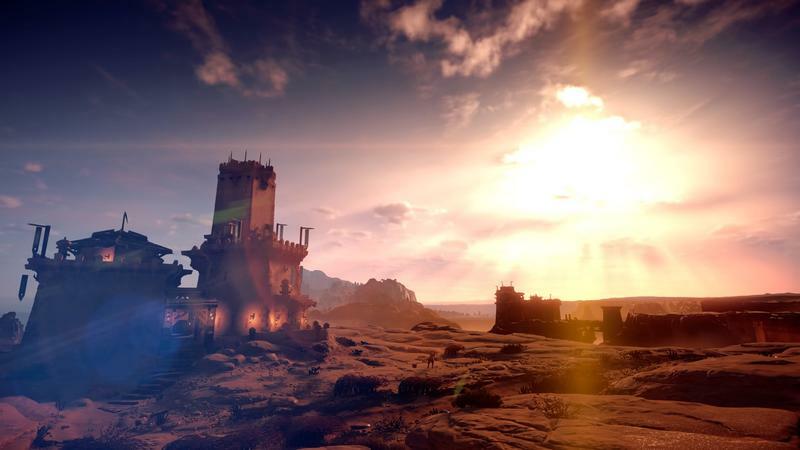 Across something like seven or eight Assassin’s Creed games, a bunch of Far Cry games, the first Watch Dogs, and other games, I’ve climbed countless towers to unlock map areas. What used to be fun has become an exercise in tedium. 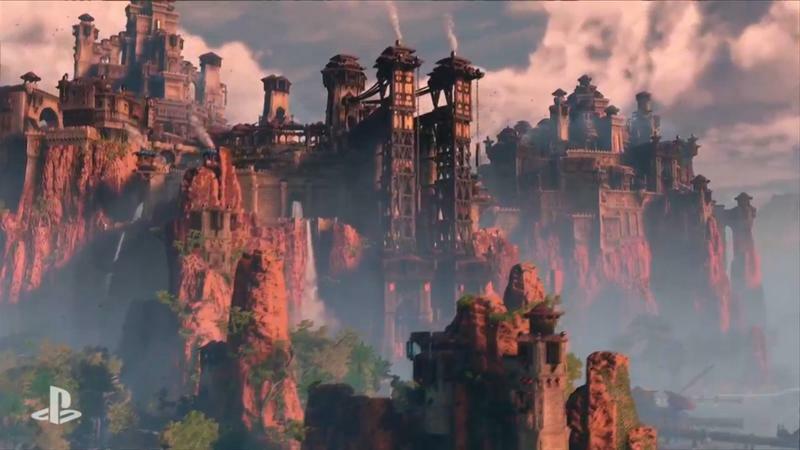 There are just so many towers in those games that it becomes a job instead of an exciting vista. 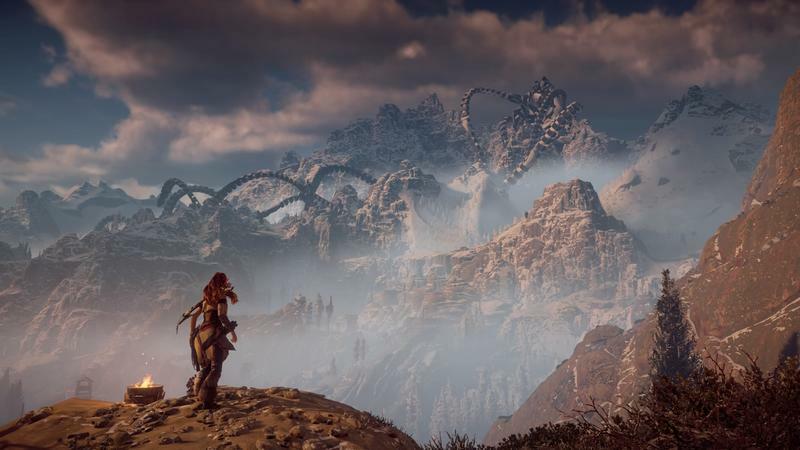 In Horizon Zero Dawn, there are just a few towers, though, and Guerrilla did something fascinating with them that totally changed how I felt about them. 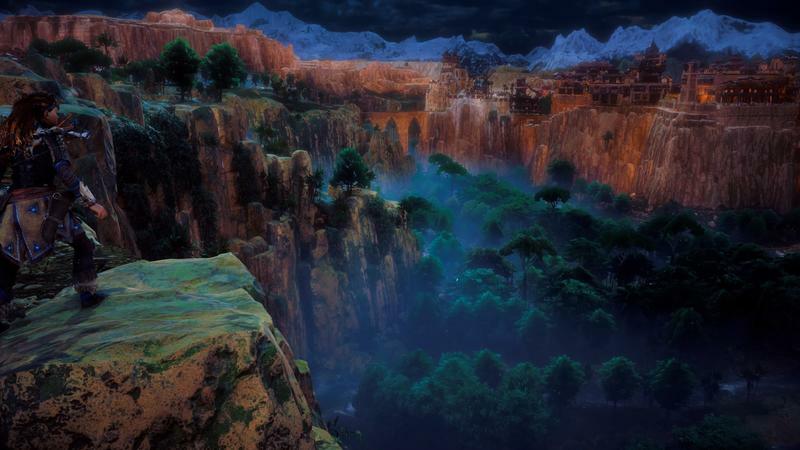 The towers in the game are those “Tallnecks” seen strutting around in the game’s concept art and screenshots. They inhabit certain areas and seem to act as communications towers for the other machines, meaning they actually fit into the fiction of the world. And instead of being stationery, they walk around. Part of climbing the tower is figuring out how to get onto the tower. 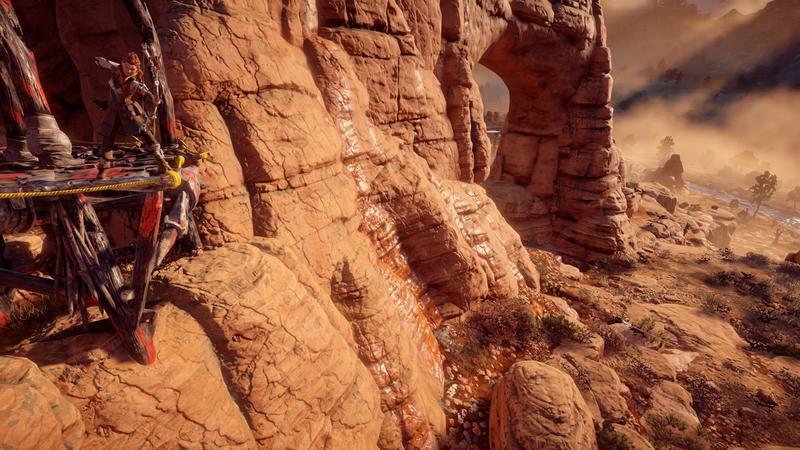 Once you’re on it, climbing is a pretty quick matter. It’s a short puzzle as simple as asking, which way do I go? Instead of being intended as a challenge, it’s more of a change of pace, and a brief, rare one at that. 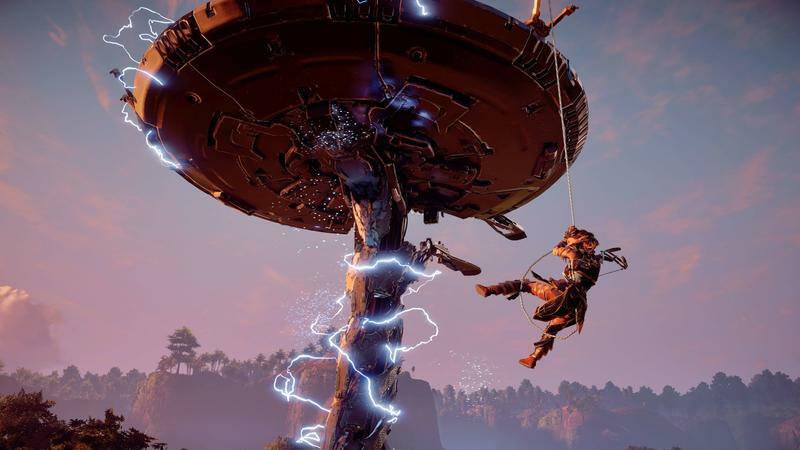 Because so many of the enemies in Horizon are gigantic, there aren’t that many. I’d say there are just enough. The variety is enough, though, that fighting them never gets boring. 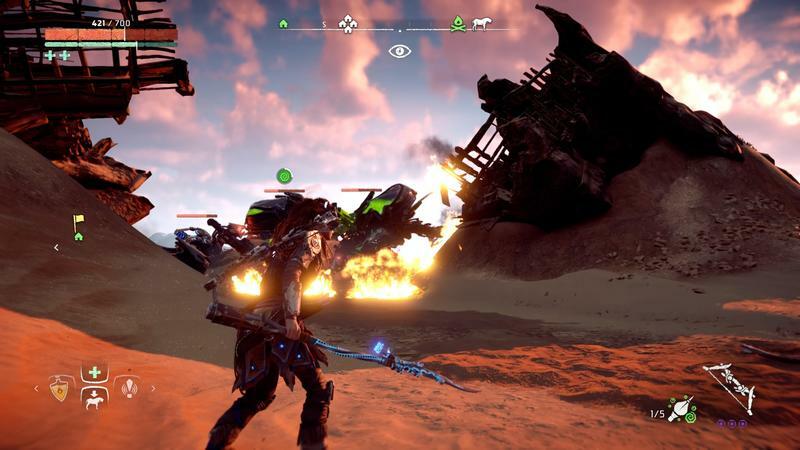 The first time I happened upon a Thunderjaw, the hair stood up on the back of my neck. The other beasts had trained me to know that this thing was going to be terrifying. The last time I took one on, I was grinning. I was having a great time. I understood its weaknesses and knew the best sorts of weapons to employ against it, and putting that knowledge into action felt satisfying. That same feeling went for just about every animal. With the exception of the Rockbreaker. Those things are literally the worst and I hated them. I still hate them. Rockbreakers can eat it. Because there aren’t that many beasts, each discovery feels like a big deal. The reveal of each new machine is an exciting moment. 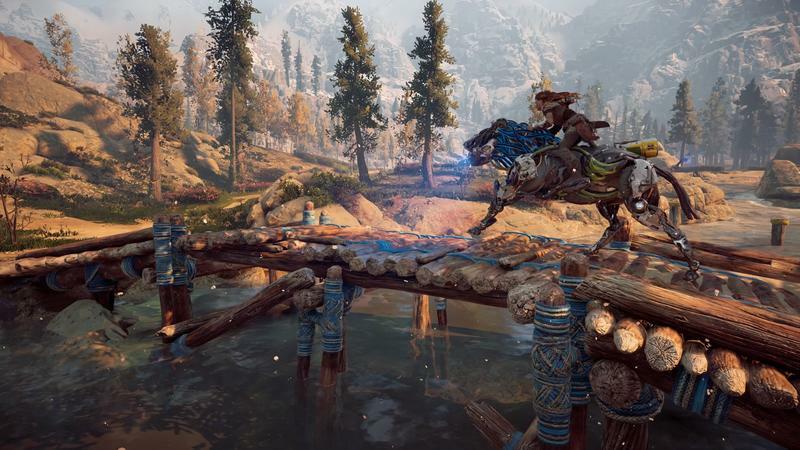 The same goes for the different environments Aloy eventually explores the mostly-small settlements that dot the land. 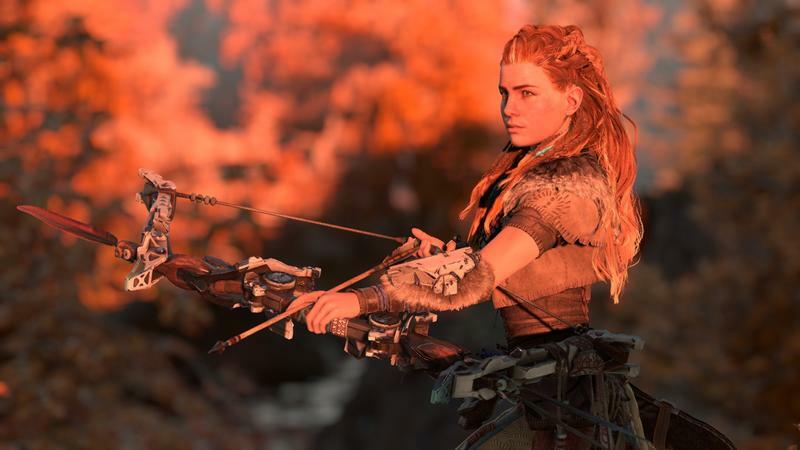 As poorly paced as the weapons and outfits are, these are paced perfectly, and this played a huge role in making the game stay so consistently fun and exciting. 100 flags. 100 feathers. 100 pigeons. 100 orbs. 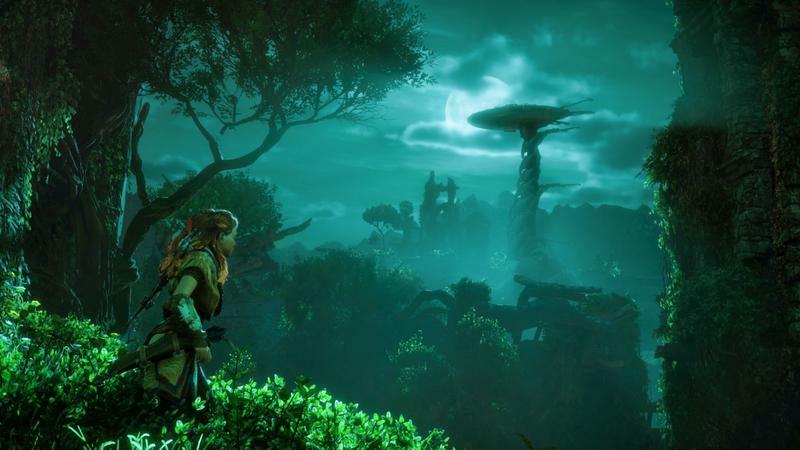 Why do these games have so many things to pick up in the world, hidden in every nook and cranny? It’s like they think if we get bored for even a second, we’ll put the game down and wander off. 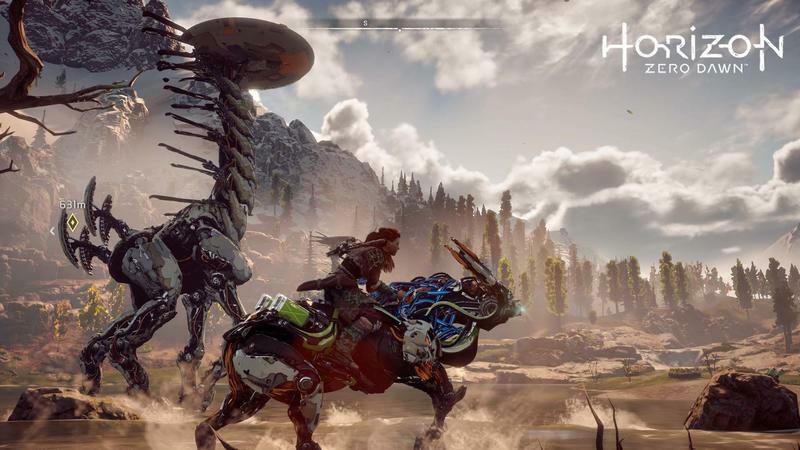 By comparison, the collectibles in Horizon are, well, collectible. There aren’t too many of any one item, so finding them stays interesting. Better yet, merchants who want to buy the items eventually crop up, offering tangible rewards in exchange for digging up these relics and oddities. The rewards are, admittedly, not always particularly great. But they’re still rewards beyond some mostly-meaningless trophies. 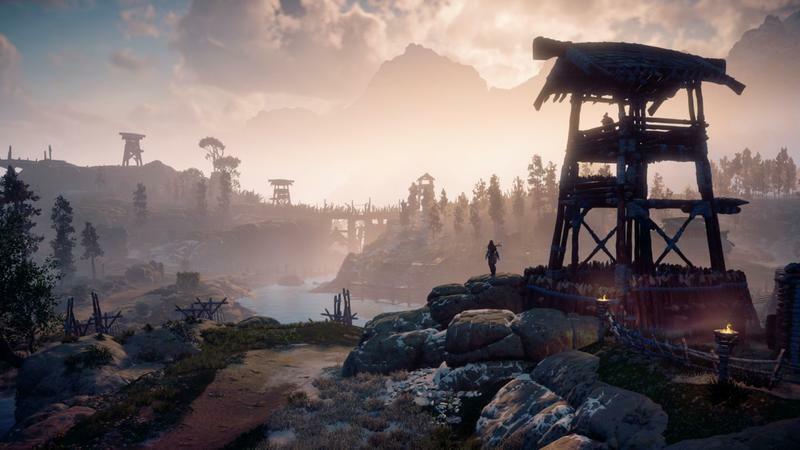 Not every game needs to be ultra-detailed. Some games look great with simple art. 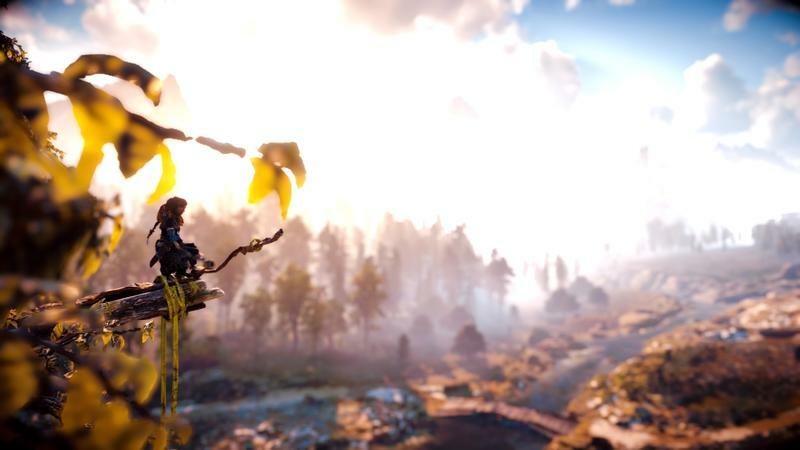 But with Horizon, the post-post-apocalyptic world is made that much more real through that excruciating level of detail that goes into everything. This is especially the case with character faces. Faces are hard to get right. Mass Effect Andromeda is a demonstration of how difficult it can be to get faces right. The worst part of that is that they’re the lifeblood of that game, so you’re being reminded constantly that something didn’t go right in the making of the game. It’s like an effects-driven film where the wires are never hidden. 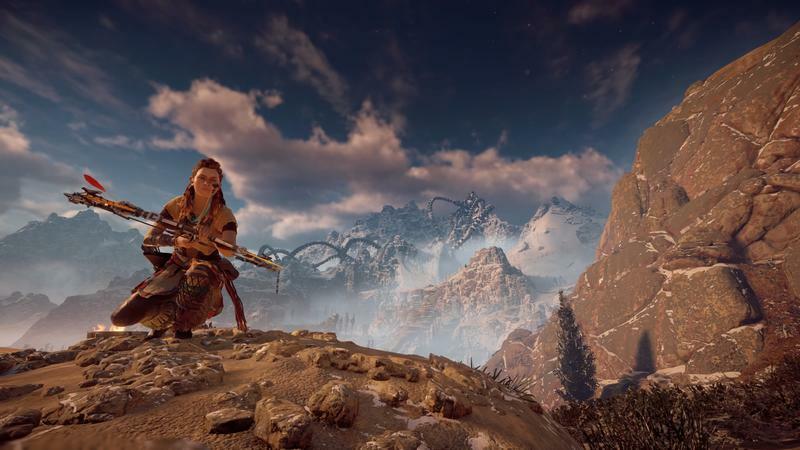 Some of the facial animations in Horizon are weird, but detail put into each face plays into the hyper realism the team was going for. The characters’ faces have each been given careful attention and were almost certainly done using some kind of performance capture. 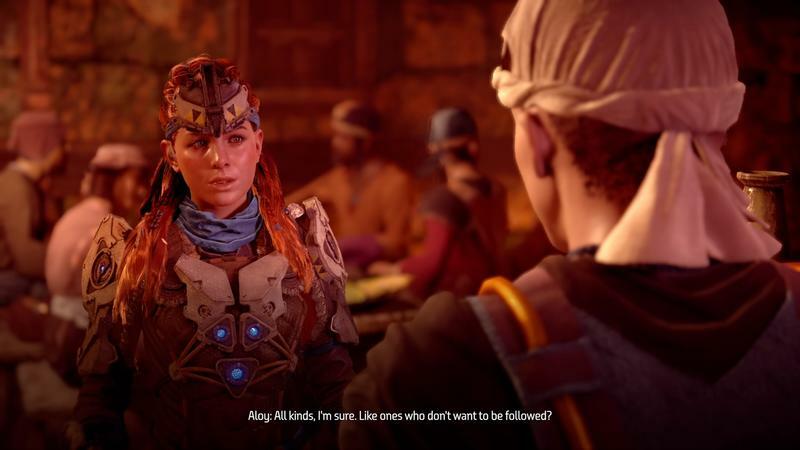 Little facial ticks come across that help make characters real, whether it’s Aloy herself or a character you’ll encounter just one or two times. Each of those characters has a unique face, too, and when I encountered them later, it added warmth to the game because those characters had been realized so well. It would be easy to take a trip to spoiler town right now and buy out every shop. I don’t want to do that – that deserves its own separate piece, maybe. 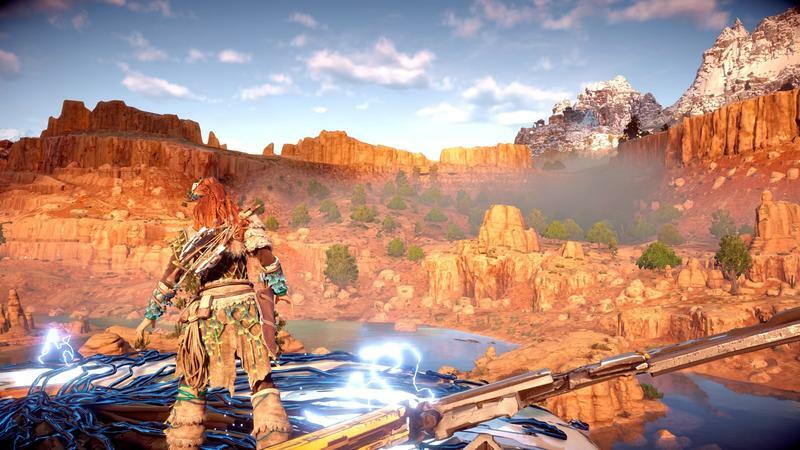 But Aloy is one of the better protagonists to inhabit an open world in a while. 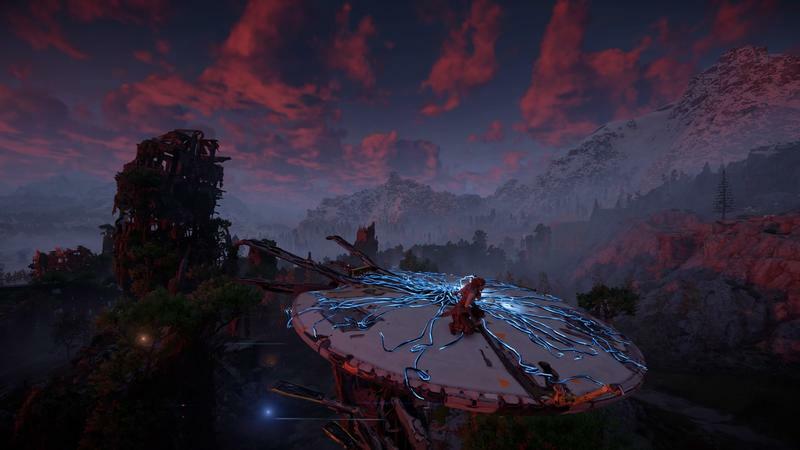 That Guerrilla Games got this right on its first try is particularly remarkable. 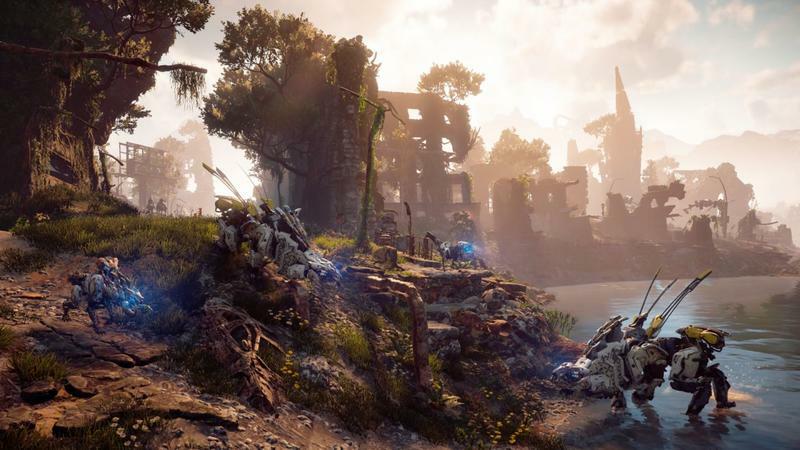 The company’s best known for the Killzone games which, while attractive, are regarded as also-ran games when compared to competitors like Halo. The stories have never been highlighted as the standout aspects of those games, at least that I can remember. 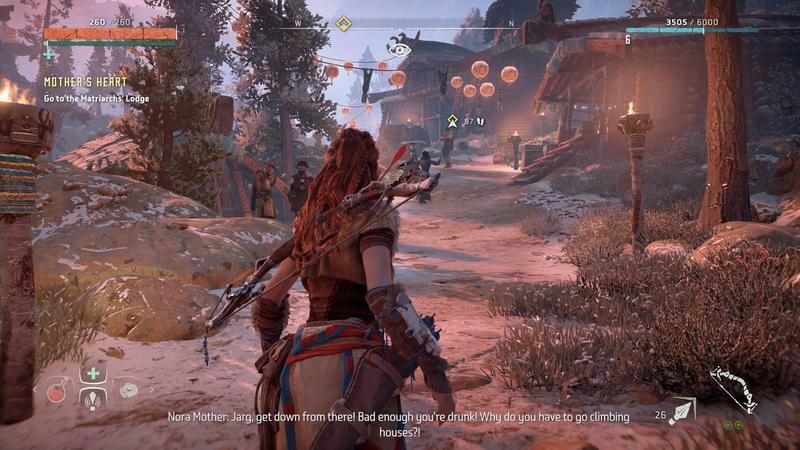 But Aloy is pitch perfect along every step. From her outfits being varied but mostly believable as something she’d wear, to the way she responds to situations, to even her voice, everything feels intentional. Rockstar gets protagonists right a pretty good portion of the time. John Marston of Red Dead Redemption, CJ of Grand Theft Auto: San Andreas, and Trevor of Grand Theft Auto V are all fascinating for different reasons. But then characters like the silent protagonist in Grand Theft Auto III or GTA V’s Michael aren’t exactly worth writing home about by comparison. Whether Ubisoft is going to get their characters right is a toss-up. Watch Dogs 2’s Marcus was as good as Watch Dogs’ Aiden Pearce was bad. 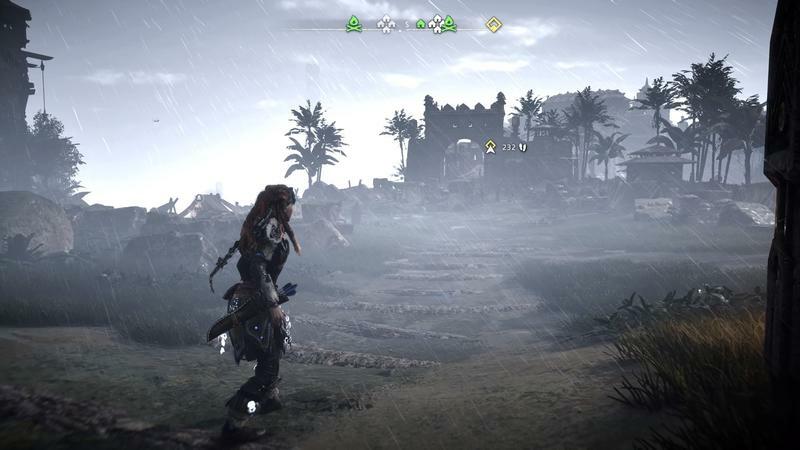 In Assassin’s Creed, characters like Ezio and Syndicate’s twins are balanced out by hacks like Unity’s wet-cardboard protagonist Arno or the hotly-debated Connor Kenway of Assassin’s Creed 3. 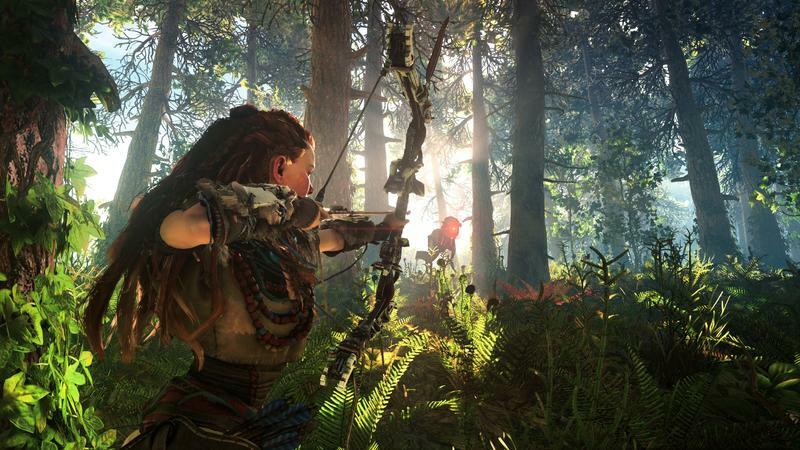 Aloy, more than almost anything else in Horizon Zero Dawn, is a homerun.